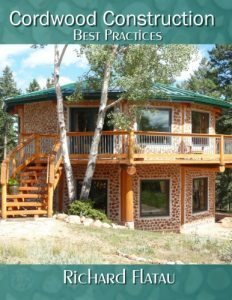 A beautiful cordwood cabin done the “right way” using Best Practices. 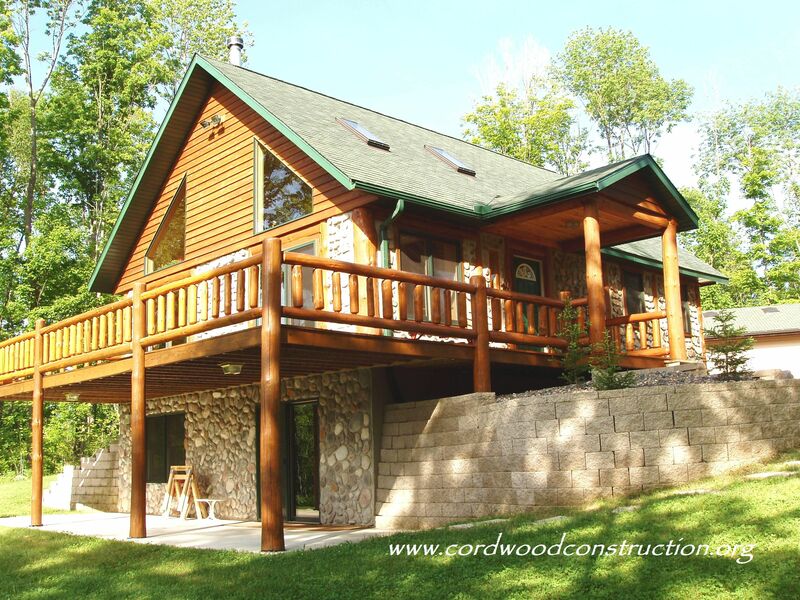 The owner’s were meticulous and made sure every part of the cabin was finished properly. The full walk-out basement required extra support. 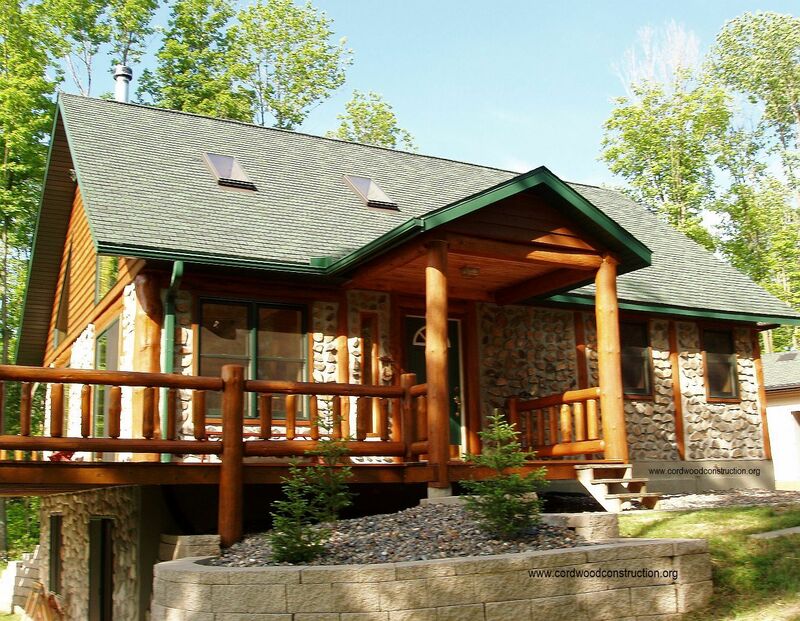 The cabin rests in the middle of 320 acres of hardwood and conifer forest. 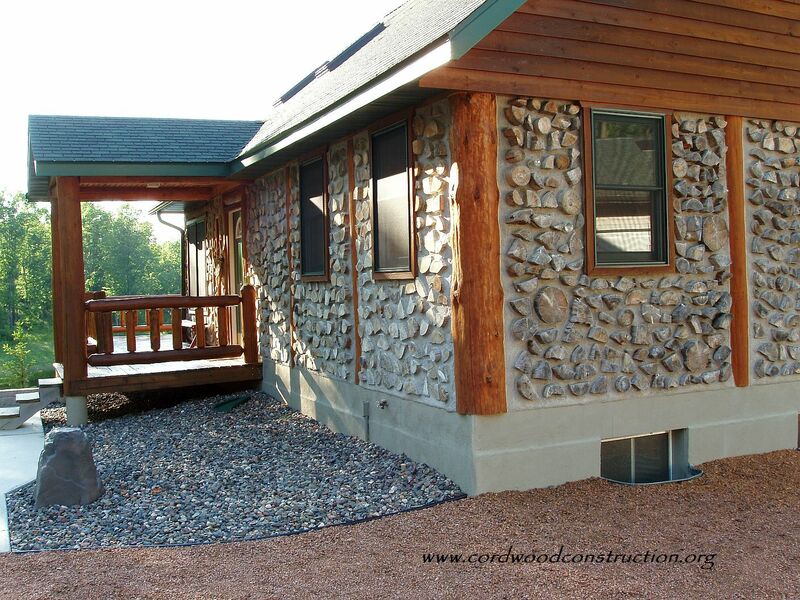 This 28′ x 36′ cordwood cabin was built on a full basement. 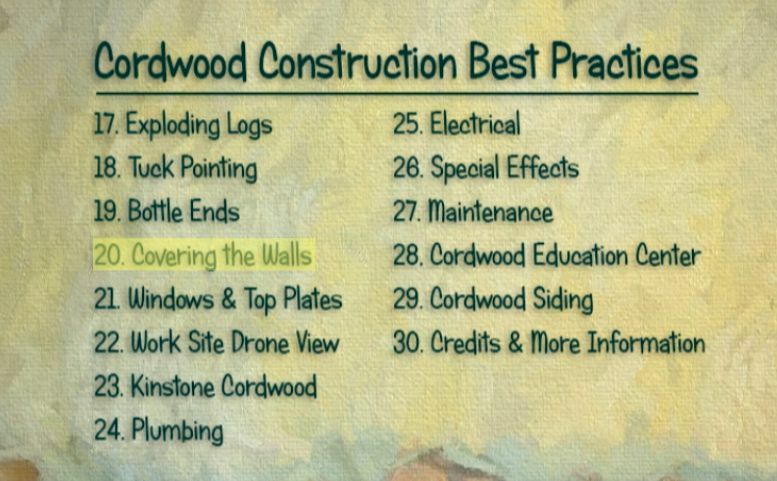 The engineer made certain the foundation was able to handle the significant weight of a 16″ cordwood wall. 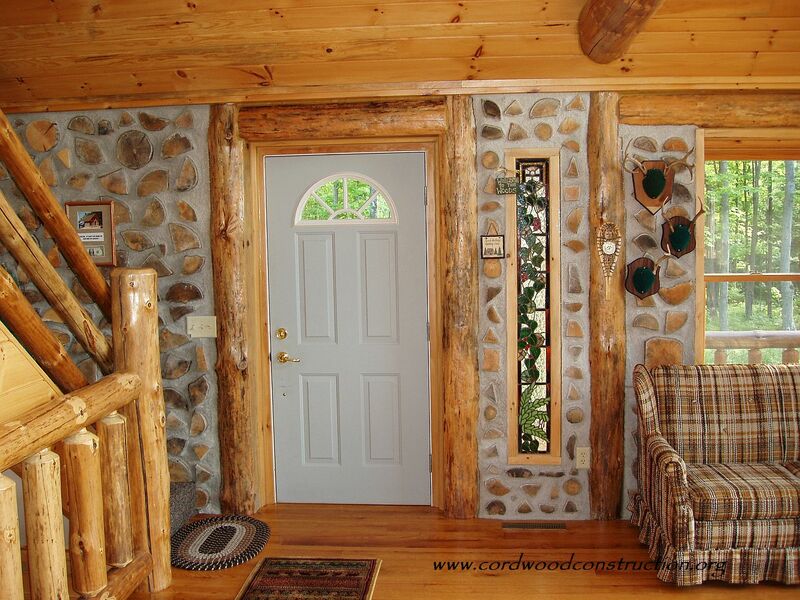 An 8′ high cordwood wall weighs 500 to 700 pounds per lineal foot. So every four feet you have a ton of weight sitting on your foundation. NOTE: People have been asking about the plans for Cordwood on a Basement. 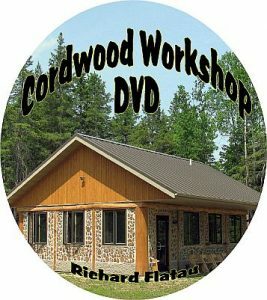 This cabin’s basement specs are featured in a comprehensive article in the Cordwood Conference Papers 2005 available for $10 at the Online Cordwood Bookstore The cordwood posts are red pine & cedar and the cordwood infill is pine, cedar and aspen. 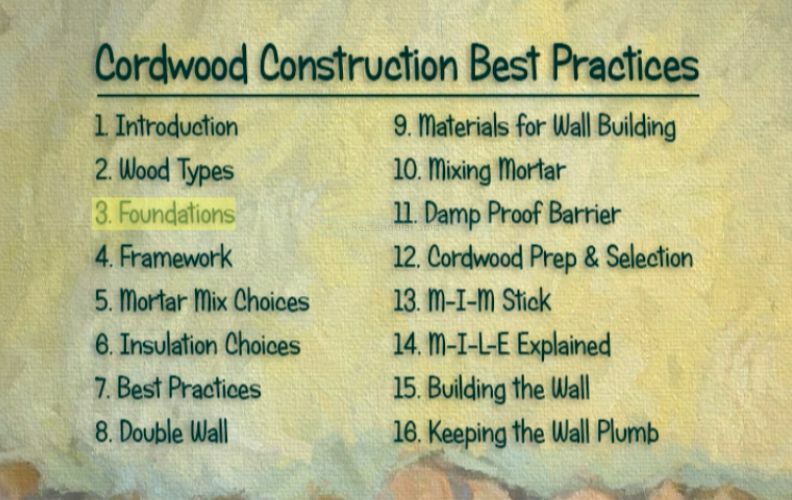 The basement was “capped” with a floor and the framework was added to the wooden sub-floor. 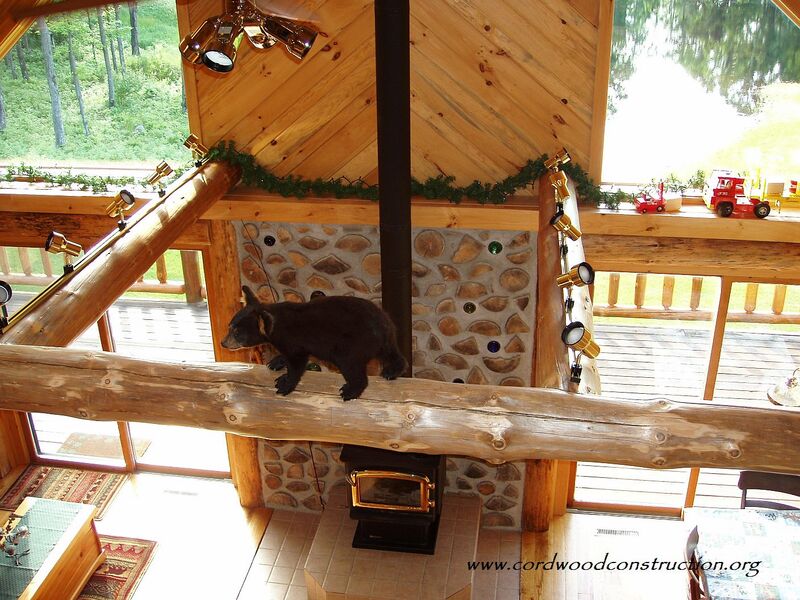 Boo Boo the bear cub walks across the central rafter log. 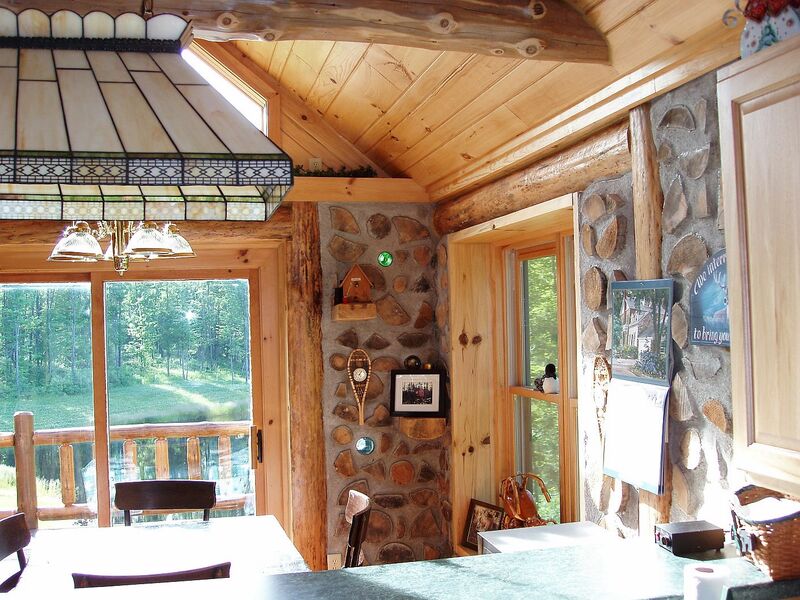 The heavy timber framing makes for a very attractive cabin. 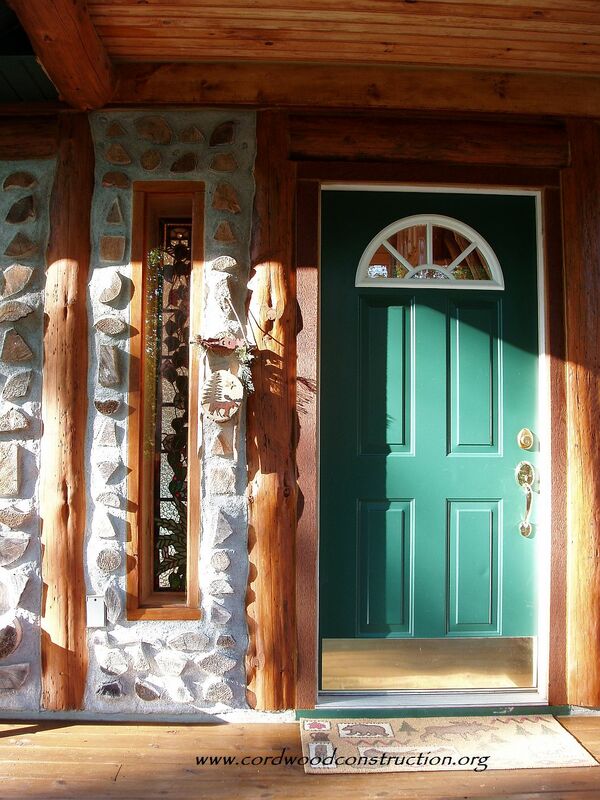 The sliding glass doors are attached to a large deck which overlooks a small spring fed pond. 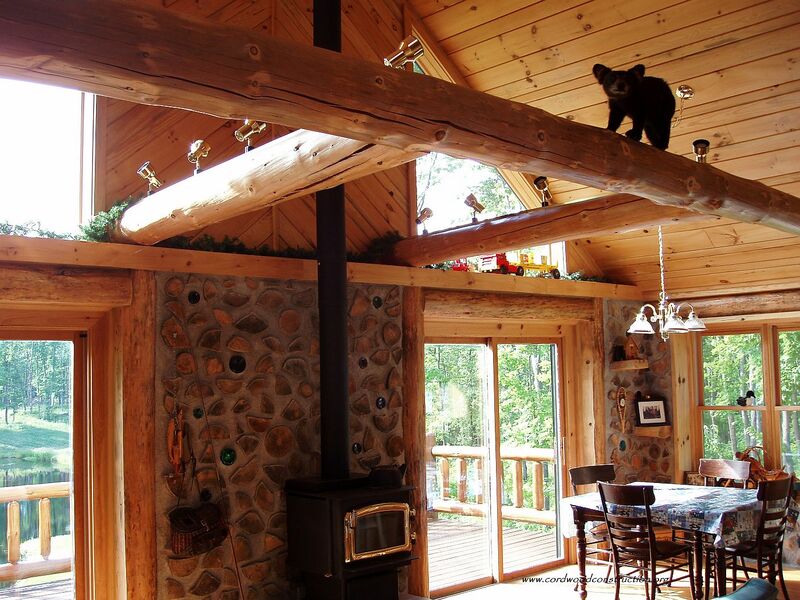 A view from the loft. 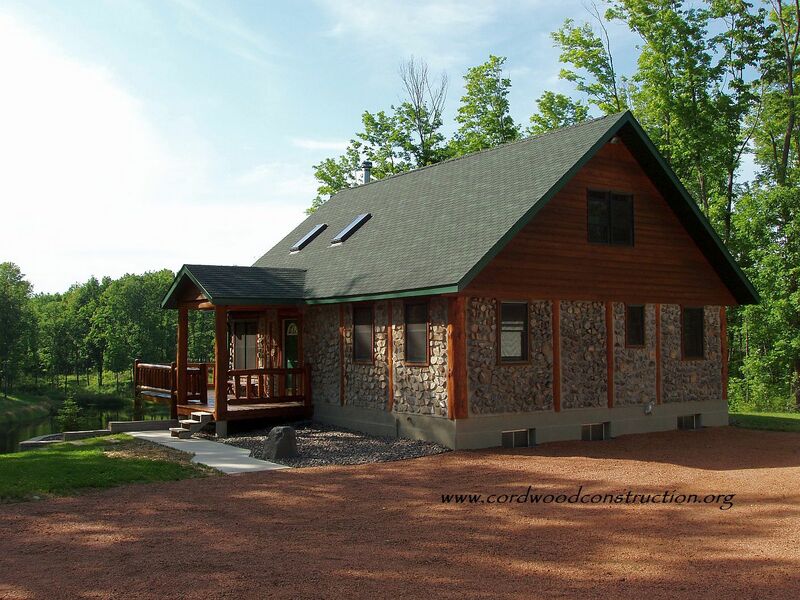 The cabin boasts four bedrooms and a loft sleeping quarters. 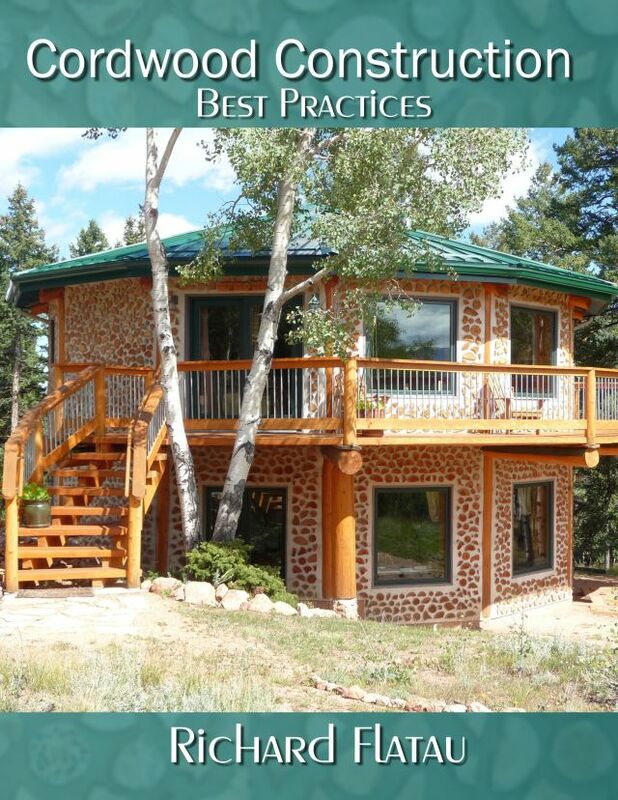 It also has an indoor sauna and an off-grid system.